California Internet, L.P. DBA GeoLinks (“GeoLinks” or the “Company”) submits these reply comments in response to comments received on the Public Notice issued on May 1, 2018. GeoLinks believes that the 3.7-4.2 GHz band ​is​ ​well-suited​ ​to​ ​support​ point-to-multipoint (“P2MP”) ​​broadband​ ​access. 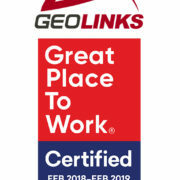 As GeoLinks has previously stated, P2MP service options are ideal because they allow a wireless service provider to provide dedicated high-speed broadband connections to several end-users (i.e. several households throughout a community) from one location, requiring fewer towers and less equipment than point-to-point connections. This is especially beneficial in rural and high-cost areas and can provide much-needed competition to incumbent providers in urban and suburban areas. With the appropriate rules, the Commission can ensure P2MP use is feasible in the band, which will result in more affordable, high-speed broadband and increased broadband competition. As stated in the Public Notice, the Commission must assess “the feasibility of allowing commercial wireless services” in the 3.7-4.2 GHz band and submit a report to Congress on its findings. While the Commission could draft a standalone report in compliance with this directive, GeoLinks believes that this presents an opportunity for the Commission to do a deeper dive into how best to utilize the band.  As stated in its opening comments, GeoLinks believes that the 3.7-4.2 GHz band offers an opportunity for the Commission to allocate spectrum resources in a way that will promote competition and help bridge the digital divide while protecting current users of the band. Issuing an NPRM in this proceeding would allow the Commission to create a robust record regarding potential uses of the band and technical guidance regarding sharing mechanisms that it may be able to apply to other bands, as well. As such, GeoLinks agrees with T-Mobile that the Commission should open an NPRM in this proceeding and base any report provided to Congress based on the record created as a result. 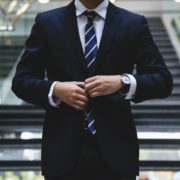 There is a common theme echoed by the mobile wireless commenters that the 3.7-4.2 band should allocated “for mobile broadband use on a flexible basis” and that the “adjacency to the 3.5 GHz band” justify the “allocating and repurposing” of a large swath of the band for 5G services. However, earmarking the band for mobile broadband services exclusively is not the best use of the band to promote immediate utilization and public interest. Spectrum is, first and foremost, a public resource and should be allocated in ways that promotes immediate and robust use of it. As GeoLinks noted in its opening comments, the Company agrees with the Broadband Access Coalition (“BAC”) that the band “is not now, and will not for several years, be suitable for mobile use given the existing deployment of FSS earth stations and FS P2P links.” In its opening comments, even T-Mobile acknowledges this fact stating that “T-Mobile recognizes that not all 500 MHz may be available immediately for exclusive terrestrial operations in all locations.” In part, this is because optimal mobile use of the band would require the FCC to repack existing users into another portion of the band or to another band all together. Or, in the alternative, would request that FSS stations be forced to utilize fiber connections to replace downlinks to earth station receivers or even relocate earth stations to more remote locations. As the Satellite Industry Association (“SIA”) explains, the satellite industry has already invested significant resources into the 3.7-4.2 GHz band. Forcing license holders to shift to a new portion of the band (potentially requiring new transmission equipment), to physically relocate infrastructure (requiring construction and potentially triggering environmental review), or to completely restructure technology platforms could require these companies to lose the benefit of their investments and potentially force them to incur significant costs. GeoLinks fails to see the public interest argument for requiring license holders to incur potentially significant costs or for additional administrative oversight to repack the band when the band could be utilized now, as is. GeoLinks asserts that P2MP technology can be utilized in the band almost immediately without interfering with existing users and without requiring existing users to uproot their existing systems and infrastructure. Contrary to claims made by some commenters, sharing IS possible in the 3.7-4.2 GHz band. While CTIA, for example, is correct that it is not possible for existing users of the band to share with mobile broadband providers, this does not apply to fixed broadband providers. 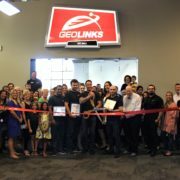 As explained in its opening comments, GeoLinks (as well as other fixed wireless broadband providers) can coordinate its use of a frequency around any fixed point that may be necessary (i.e. an FSS earth station). Unlike mobile wireless, fixed wireless technology uses directional antennas and fixed transmission points that travel in a designated path. Between those connection points, fiber optic technology is used. This is demonstrated in the figure below. Compare this figure to that provided in NCTA’s comments, showing directional transmission connections between satellites and fixed, terrestrial points. So long as the transmission path between towers and receiving equipment is engineered to avoid overlap with another signal utilizing the same spectrum, interference can be avoided. With respect to the 3.7-4.2 GHz band, if the locations of FSS earth stations and their transmission paths are known, this can be accomplished. 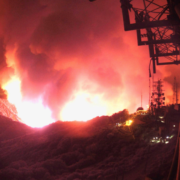 To that end, if an FSS earth station is properly registered and identified within the band, it can be protected from interference – and should be. However, as SIA notes, up to 90% of earth stations are unregistered. GeoLinks agrees with Google that “unregistered or incorrectly registered earth stations should not be entitled to interference protections.” This includes FSS stations that do not timely file their registrations with the FCC. GeoLinks commends the Commission on its efforts to update its FSS earth station database and believes this is an important first step to better utilization of the band. GeoLinks reiterates that any spectrum license should carry with it the requirement to serve the public interest – including for shared or light licensed spectrum. Any additional use of the 3.7-4.2 GHz band should be subject to strict buildout and service requirements to help promote broadband deployment in rural areas. 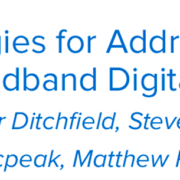 These requirements will alleviate the risk of spectrum warehousing and encourage rapid deployment of high-speed broadband by band users. In conclusion, GeoLinks urges the Commission to open an NPRM in this proceeding to consider the feasibility of and create rules for commercial wireless services under a shared, light licensed regime with robust build out requirements. Office of Engineering and Technology, International, and Wireless Telecommunications Bureaus Seek Comment for Report on the Feasibility of Allowing Commercial Wireless Services, Licensed or Unlicensed, to Use or Share Use of the Frequencies Between 3.7-4.2 GHz, Public Notice, GN Docket 18-122, DA 18-446 (re. May 1, 2018). Comments of T-Mobile, GN Docket No. 18-122 (filed May 31, 2018), at 4 (“T-Mobile Comments”). In addition, opening an NPRM would satisfy NCTA’s concern that proponents of sharing operations within the band “have not filed robust technical analysis” in the proceeding. Comments of NCTA – the Internet & Television Association, GN Docket No. 18-122 (filed May 31, 2018), at 8 (“NCTA Comments”). Comments of CTIA, GN Docket No. 18-122 (filed May 31, 2018), at 5 (“CTIA Comments”). 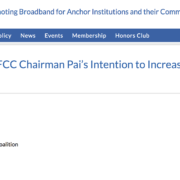 Broadband Access Coalition, Petition for Rulemaking to Amend and Modernize Parts 25 and 101 of the Commission’s Rules to Authorize and Facilitate the Deployment of Licensed Point-to-Multipoint Fixed Wireless Broadband Service in the 3700-4200 MHz Band, RM-11791 (filed June 21, 2017), at 6 (“Petition”). See CTIA Comments at 6. See Comments of the Satellite Industry Association, GN Docket No 18-122 (filed May 31, 2018), at 2-3 (SIA Comments). GeoLinks notes that one of the reasons that many rural Americans lack high-speed broadband connections is the high cost associated with fiber buildouts in remote areas. These costs would also be high for any satellite provider forced to construct new fiber to replace downlinks to earth station receivers. See CTIA Comments at 2. 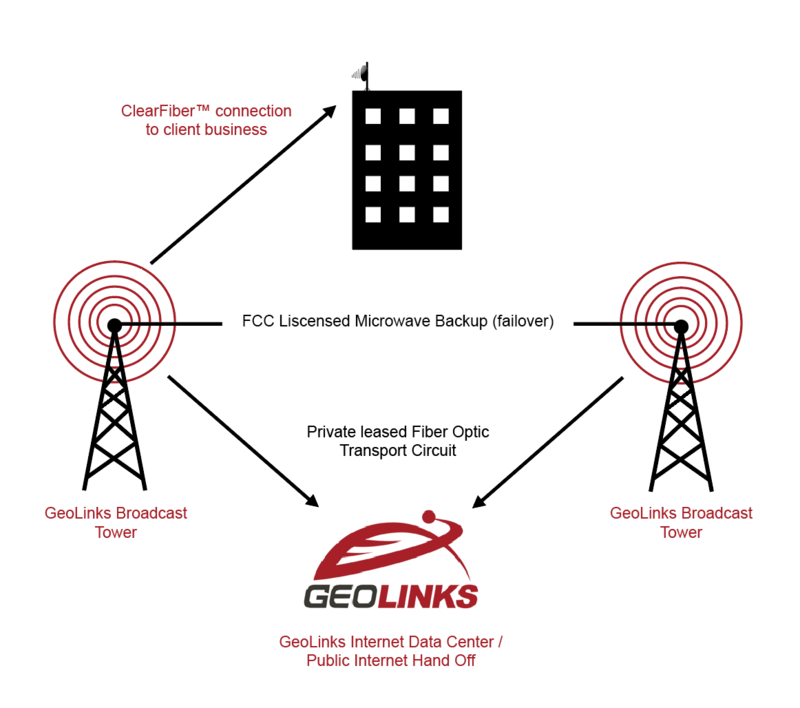 ClearFiber™ is GeoLinks’ flagship fixed wireless product, offering dedicated, business-class internet with unlimited bandwidth, true network redundancy, guaranteed speeds, and backed by a carrier-grade Service Level Agreement boasting 99.999% uptime and 24/7 in-house customer support. See Figure 1: Cable Video Distribution, NCTA Comments at 3. With the correct design, in most areas, FCC stations can be avoided by the 30-75 kms that NCTA explains would be required to protect earth stations from harmful interference. See NCTA Comments at 7. Specifically, GeoLinks recommends build out to a minimum number of locations. In the alternative, GeoLinks recommends that the Commission require any new band user to make a showing that they are actually serving customers over the band within a reasonable timeframe.